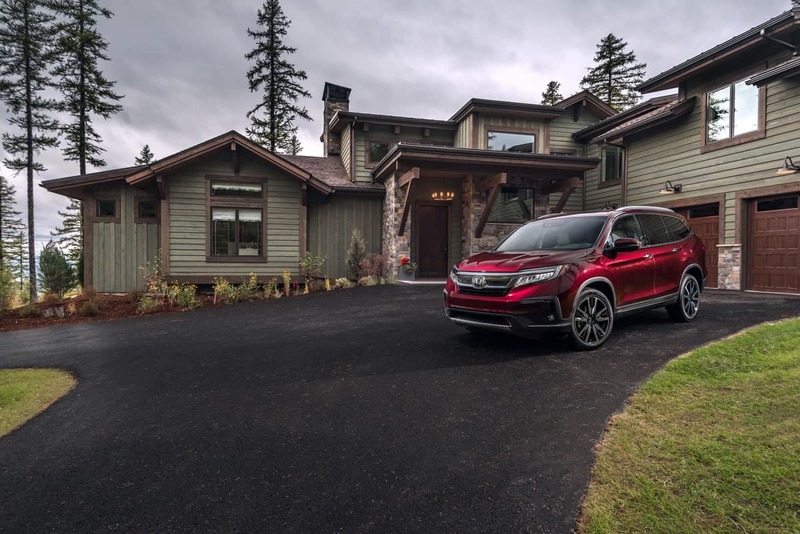 Dec 5, 2018 – TORRANCE, Calif.
Honda is set to return for the third consecutive year as the exclusive automotive sponsor of the HGTV® Dream Home Giveaway 2019 in the Rocky Mountains resort town of Whitefish, Montana. The total grand prize package is the greatest in HGTV giveaway history, valued at more than $2.3 million. The package includes the HGTV Dream Home 2019 including all furnishings, the redesigned 2019 Honda Pilot Elite, and a cash prize of $250,000 that will be given away to one lucky winner in April 2019. The redesigned Honda Pilot Elite will be integrated into the HGTV Dream Home 2019 television special on January 1, 2019, which showcases the construction and design of the home. Honda will produce a 30-second custom vignette showcasing the Pilot and invite viewers to enter the sweepstakes for their chance to win the HGTV Dream Home Giveaway 2019 (HGTV.com/HGTVDreamHome). The creative concept for the vignette showcases how both the HGTV Dream Home 2019 and the Pilot are built for families that enjoy different types of adventure – be it family life in the cozy living room or a journey outdoors for some scenic camping. Wherever the road may lead, the 2019 Honda Pilot and HGTV Dream Home 2019 has it covered! The new, fully furnished home leads the prize package valued at more than $2.3 million – the largest giveaway in HGTV history. Constructed with the finest materials, reclaimed historical resources, and timber frame architecture characteristic to the area, the home was conceived by Timber Forge Design, built by Malmquist Construction, and designed by Brian Patrick Flynn. The sneak peek at this striking, lodge-style retreat is now available at HGTV.com/HGTVDreamHome. Viewers can catch the DIY Behind the Build: HGTV Dream Home 2019 special chronicling the home’s build process, which premieres Saturday, December 29,2018 at 11 p.m. ET on DIY Network, as well as the HGTV Dream Home 2019 Special, which airs Tuesday, January 1, 2019 at 8 p.m. ET on HGTV. The 2019 Pilot brings a long list of upgrades to Honda’s award-winning 8-seat SUV, including: more aggressive exterior styling, an available new hands-free access power tailgate, powertrain refinements, major upgrades to available connected-car technology, an available new Display Audio touchscreen system with Apple CarPlay™ and Android Auto™ integration, and a volume knob. The 2019 Pilot also adopts the Honda Sensing® suite of advanced safety and driver-assistive technology as standard on all trims. Combined, the upgrades to Pilot for the 2019 model reinforce its capabilities while emphasizing the state-of-the-art technology and family-friendly character that has made it one of the most popular midsize 3-row SUVs. Pilot also remains one of the few models in its segment to offer 8 seats (7-seats with the optional second-row Captain’s Chairs), with three-person capacity in both the second and third rows, and with third row access made simple and easy by the available One-Touch Walk-In feature. The 2019 Pilot’s more aggressive front and rear styling compliment the vehicle’s robust off-road and all-weather driving capabilities, supported by Honda’s available intelligent Variable Torque Management system (i-VTM4) with true torque-vectoring. The benefits from this technology include superior all-weather handling, and neutral, accurate steering under power. For more information on the Honda Pilot and HGTV Dream Home 2019 visit: automobiles.honda.com/pilot and HGTV.com/HGTVDreamHome. Honda is a wonderful, Relible vehicle!